From Representative Lofgren's statement below, it is clear she understands the importance of having nurses teach health promotion and prevention to the public. Additionally, California is facing one of the worst nursing shortages in the United States, ranking 49th out of 50 in the number of RNs per capita according to the California Healthcare Association. 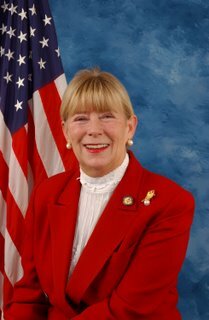 The National Nurse Team therefore concurs with Representative Lofgren in seeing that HR 4903 is passed expeditiously so that we all may begin the work in tackling the nursing shortage and decreasing the epidemic of preventable diseases. 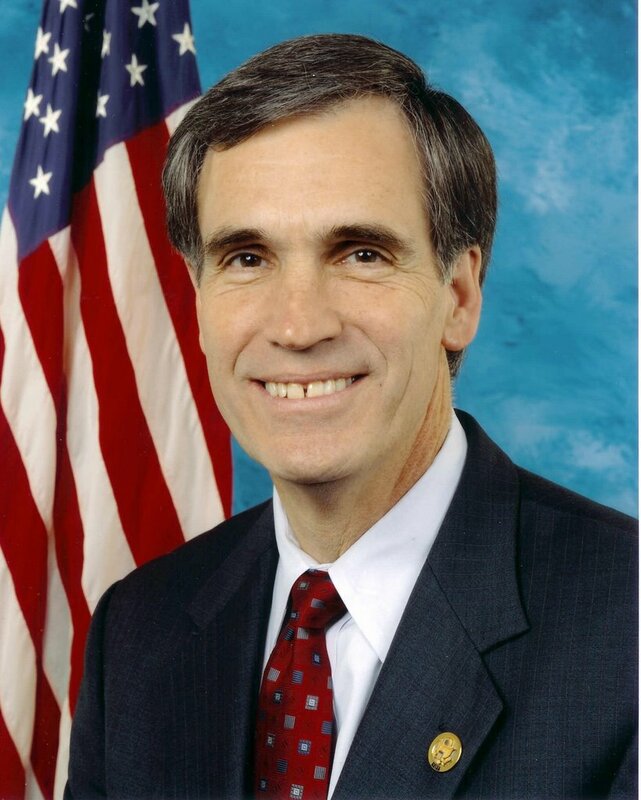 "I am proud to co-sponsor HR 4903 and hope this legislation is passed quickly in the House. Given the severe shortage of nurses we now face in California, it is critically important that we determine how to attract more people in the nursing profession. 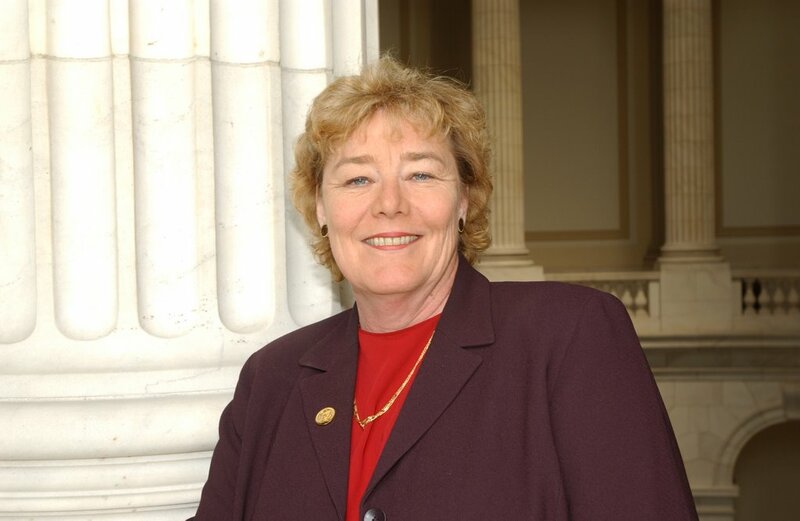 The creation of a National Nurse would encourage people to explore nursing, and help disseminate important information about being healthy and preventing disease," said Rep. Zoe Lofgren (D-CA). Representative McCarthy, one of the three nurses in Congress, represents Long Island, New York, and is described to be a "citizen's legislator", working for the people. She serves on the 91 member House Nursing Caucus. "The creation of an Office of the National Nurse is needed and long overdue. The nursing profession is vital to our nation's public health, but all too often the needs of nurses are overlooked. A National Nurse would provide nurses with a powerful a voice within the federal government and will work to encourage talented people to join the profession either as providers of care or as educators." 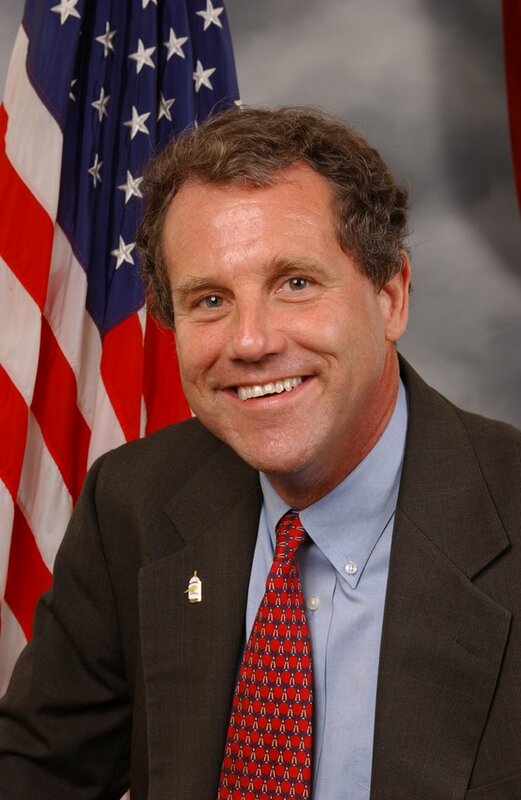 This statement comes from Representative Sherrod Brown (OH) who is the ranking member of the House Subcommittee on Health and who also serves on the House Nursing Caucus. "Our health care system depends on the 2.7 million nurses who have dedicated themselves to providing quality health care. I am proud to be a co-sponsor of the National Nurses Act of 2006 (HR 4903), which would establish the Office of the National Nurse. The Office will provide mechanisms for nurses to work directly with policymakers to improve the nation's health, and will serve as a clearinghouse for nurses across the nation to share information about the best ways to provide patient care and education. The Office will also bring much-needed attention to addressing the critical shortage of nurses in Ohio and across the nation. Establishing the Office of the National Nurse will benefit the public health in significant ways, and I will work to secure passage of HR 4903." 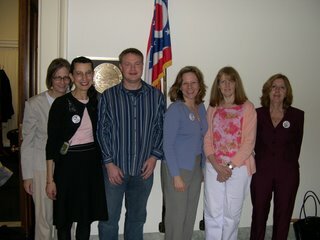 The trip to Washington D.C. ended with a visit to Representative LaTourette's office and a meeting with Ryan Berger. We appreciate Ryan's candor, wisdom, and advice and look forward to more interactions with him. 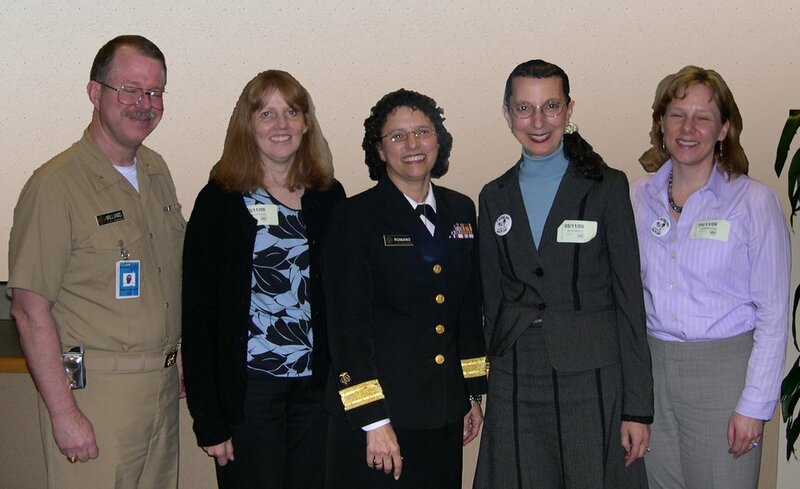 A conference on the National Nurse initiative was held at Mount Wachusett Community College, where I work, at the end of March. Teri Mills and Alisa Schneider were the keynote speakers. I've never considered myself someone comfortable in the political arena but in pulling together the conference, along with contacting local, state and nationally elected officials to urge their attendance, I became a little less wary. Once I had met Teri and Alisa, they enthusiastically invited me to participate in a two day lobbying effort in Washington, DC this May, along with other nurses and with Marcia Moody, a speaker from the same conference and a State Representative from New Hampshire. So I agreed to go without hesitation, packed my bags and went. I couldn't have been more fascinated by the House and Senate legislative aides that we met or with the general ambiance of the House and Senate buildings we entered. We ended each day in the office of Representative Lois Capps. Representative Capps, also a nurse, is from California and is the original sponsor of the National Nurse Act of 2006, HR 4903. The entire team found her and her staff to be welcoming, gracious and receptive. 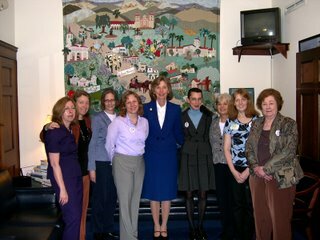 The days were long and my feet were tired but I wouldn't have traded the chance to represent this bill with this team of fabulous and intelligent nurses from around the country for anything. I am also grateful to have been a small part of the process that moves this nation and creates its laws. Thank you, Teri and Alisa, for leading me on this wonderful new adventure. You can count me in for many more! "Nurses are the front line in providing care to the sick and injured and comfort to the chronically ill and the aging," U.S. Representative Tom Allen said. "Nurses also play a critically important role in educating the public about disease prevention and about leading healthy lives. Like many other states, Maine faces a looming shortage of these caring professionals. 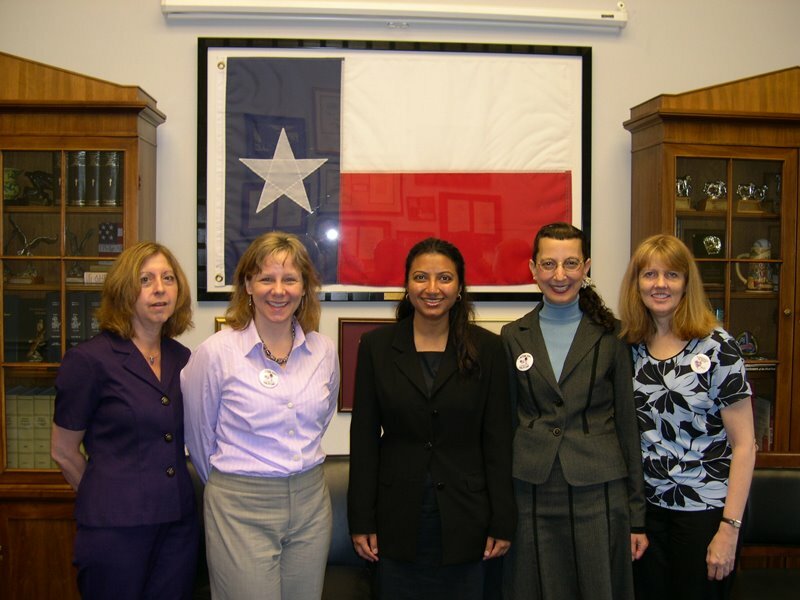 I am pleased to cosponsor the National Nurse Act which would establish the Office of the National Nurse to advocate for the nursing profession, to advance nursing issues and to collaborate with the Surgeon General and other federal health officials." More Impressions of Washington D.C.
Meeting with the health policy aides of House Members and Senators in Washington was a novel and memorable experience. Time is a valuable commodity on Capitol Hill. Our goal: to communicate the fundamentals of HR 4903, the bill to create an Office of the National Nurse. We hoped that our ideas about the Office of the National Nurse, and how it will improve the health of all Americans, were heard by these busy men and women. As a relative newcomer to the National Nurse effort, this was my first opportunity to see the National Nurse Team in action. I was impressed not only by their erudition, but by their sincerity and the enthusiasm they have maintained a full year after beginning their campaign. I left even more committed to doing whatever I can to realize an Office of the National Nurse for America. Members of the National Nurse Team were honored to meet with RADM Carol A. Romano, RN, PhD, FAAN, Assistant Surgeon General, Chief Nursing Officer, U.S. Public Health Service and Surgeon General Richard Carmona's Chief of Staff RADM Robert Williams in addition to Captain Kerry Nesseler, RN, MS, Associate Administrator for Health Professions, Health Resources, and Services Administration; Captain Laura Chisholm, Deputy to RADM Carol Romano; and Captain David Kelly, PhD, MS, RN, CPHA, CERC, Chair-Elect (07) Nursing Professional Advisory Committee, USPHS to discuss the proposal for an Office of the National Nurse. Thanks to the outstanding leadership and facilitation skills of RADM Romano, several ideas were heard and shared. The National Nurse Team would also like to recognize Wanda Chestnut for her assistance in setting up this meeting. I feel very privileged to have had the opportunity to join Super Nurses Teri, Terri and Alisa in their passionate quest to add well deserved prestige, recognition and widespread effectiveness to the nursing profession. I trust that the mobilization of the presently under-tapped resource of the very competent, dedicated and knowledgeable health facilitators, a.k.a. nurses, from every state in this country are in very capable hands. As I listened to the dialogue between the bright and insightful health liaisons, the spokespersons of the various Representatives and Senators whose Capitol Hill offices we visited, and our National Nurse leaders, I was struck by a growing sense of mutual admiration and excitement. Their response was overwhelmingly positive with their primary concerns being the cost of implementing the National Nurse Act and whether its existence and purpose would constitute a duplication of already existing programs. I am very thankful to have played a tiny part in this growing movement to illuminate the importance of the nurses who serve their fellow Americans every day and whose influence toward health promotion will grow exponentially after this bill is passed. 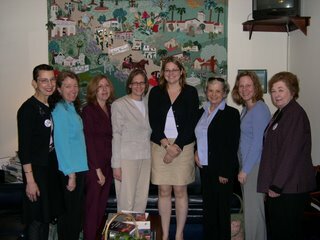 Our trip to D.C. to lobby for the National Act of 2006 was fabulous. The team of nurses working on this were collaborative and professional as well as warm and collegial. The staff on Capitol Hill were interested and attentive to the issues and solutions HR 4903 addresses. I am more proud of nursing after this experience than I have ever been in my 34 years as a nurse. I hope that all nurses will review the proposed legislation and support this nurse driven agenda towards health promotion in the United States. Paxon Barker is pictured third to the left and lives in Texas. Can't wait to hear more about how this progresses!!! wOOt! GO NATIONAL NURSE TEAM! since I'm about eight states away. Kim McAllister, RN, ADN, a nurse from the San Francisco Bay Area sent us this post in honor of National Nurses Week. Kim blogs at emergiblog.com and welcomes all newcomers. Every day, all over this country, in hospitals, clinics and community settings nurses work every day as caregiver/advocates for patients. Some of us are at the hospital bedside, some of us advocate as nursing professors or toil behind the scenes as doing nursing research. Some of us work with patients in their homes and in clinics/community settings where we act as vital links to a health care system that isn't easily accessible to those without means. We have various educational backgrounds, from associate degrees through nursing doctorates. Some of us received our nursing education in our local community and some of us were educated in a different country, coming to America for the opportunity it offers. No matter where we work or how we function or what degree we possess, we are united in one goal: contributing to the health of the citizens of the United States of America. Nurses are not only vital to the health of this country, they are indispensible. And there are not enough of us. 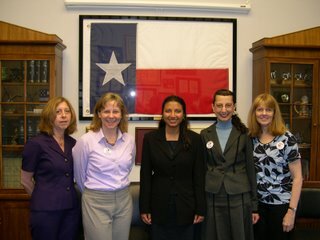 We need a visible, recognizable, vocal advocate for the nursing profession, because when you advocate for nursing you are advocating for the health of the citizens of this country. We need the Office of the National Nurse. We need someone at the national level who will help promote, through public education and media exposure, the necessity for nurses in general and particularly nursing educators who will guide future nurses into their roles. We need nurses, we need them now and here is why you should consider nursing as your professional choice. But the best part, and this is when I came on board, will be the formation of National Nurse Teams. Groups of volunteer nurses who will do community outreach and education in schools, senior centers and surprisingly, libraries. Groups of nurses representing diversity in their educational levels and in racial/ethnic minority groups (that IS the definition of the nursing profession, after all). What a wonderful way to serve your country in a civilian capacity. Oh, I've heard the objections. "Oh but we already have a Surgeon General! Why do we need a National Nurse?" As they do in everyday life, nurses and doctors will work together; the National Nurse will work in consultation with the Surgeon General in setting priorities for the nation's health care. One of those priorities will be increasing the number of nursing faculty to increase the number of nurses that are desperately needed. 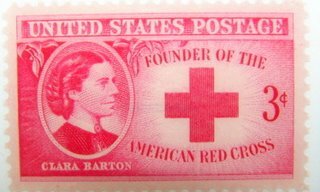 Only the National Nurse will be a visible, recognizable representative. Are you able to name the Surgeon General? I had to go look him up on Google. "Oh, it's just an excuse for a national nurses union." No. It's not. The National Nurse Teams are voluntary. "We don't need any more expenditures in government!" Ever heard of "Porkbusters"? Look them up and see just what your state wants money for. It isn't health care, trust me. If you haven't read the bill, HR 4903, click on the link on the sidebar and check it out. Never read a bill before? Don't worry, you won't have to run and rewatch Schoolhouse Rock's "I'm a Bill" to understand it. No one is less politically savvy than I am and I was impressed. It's basic, it's elegant in its simplicity. And it is needed. As soon as my article is finished, I'll be calling my local Representative, Ms. Barbara Lee and asking her for her support. Look up your representative. Do the same. What if someday you called for a nurse and nobody came? the Office of the National Nurse! Thanks for being there and doing all that you do! Today is the first day of National Nurses Week. Nurses are 2.9 million strong in the United States and comprise the largest sector in the healthcare workforce. Without question, nurses make a huge difference in our patient's lives every single day. A career in nursing is as varied as the kinds of ice cream found in the local grocery store. Major advancements to the profession have occurred over the past several decades, including practice based on evidence and an educational background required to deal with the technology of the 21st century. As difficult and challenging as a day in the life as a nurse might be, most nurses would not trade their careers for the world. 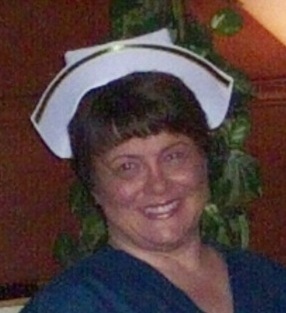 Altough it is great to celebrat National Nurses Week, what we do not need is another big daddy government agency. Stop the Nanny State. What we need are the nurses that will take care of you when you are sick. We aren't talking "big daddy government agency"....we are talking about a national representative for the nursing profession who will promote the health of this nation through the one profession that actually PERFORMS THE WORK REQUIRED TO HEAL THE SICK! Where in the world does this fit into the Nanny State? If anything, there will be an increase in the Nursing State and you, my friend will benefit, as we all will. The health of this country depends on the health of our nursing profession. The more nurses we have, the higher profile we can give the profession, the better qualified the candidates and the better the healthcare provided to the citizens. On February 25th, the National Nurse website posted a request from a supporter who wondered if there was a way to help our troops. She said, "Soldiers in Iraq must be having a very scary week, with the situation there deteriorating so rapidly. And the medical units must be running on exhaustion." The supporter went on to say, there are some specific items that a medical unit serving injured soldiers could use. It might take a little of the strain out of this time to do something which is kind and useful, at least to add a little balance to the Universe. A reader and National Nurse supporter, Denise Carrie, a nurse at Beth Israel Deaconess Hospital, who is the wife of the General Manager of the Cocasset Manufacturing Plant, Dan Carrie, saw the plea and set out a course of action. The employees at Invensys Foxboro periodically have internal fundraisers with raffles and bake sales to raise money for different charities as well as have some fun and boost morale. In the past they have raised money for ALS, American Heart Association, the Katrina Fund, American Cancer Society, as well as being a sponsor for the 3-Day Walk for Breast Cancer and the PMC Jimmy Fund. And in November of 2003 they collected items for Operation Shoebox for soldiers in Iraq. Most recently they received a request from an employee’s spouse with a note from Capt. Maureen McCann that requested an urgent need for clothing for soldiers being treated in medical facilities in Iraq. They set up a triwall for employees to bring in items and the General Manager agreed to ship the items from their facility. In one week they had a large collection of sweat pants, t-shirts, and travel pillows. They even had a case of t-shirts donated by Invensys Foxboro as well as a case of t-shirts donated by the American Red Cross. THANK YOU to all who participated in this wonderful collection! Your good deed is not going unnoticed.